Also called Treasury Bills, these are short-term debt securities issued by the US government. Maturities are usually a year or less and typically run 13, 26 or 52 weeks. Trading in the secondary market, the price of T-Bills rises when interest rates fall and vice versa. The study of market action, usually with price charts, which includes volume and open interest patterns. Also called chart analysis, market analysis and, more recently, visual analysis. 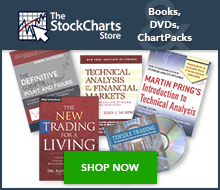 See our ChartSchool article on Technical Analysis. The difference between the three-month US Treasury rates and the three-month Eurodollar contract. Used to measure the strength of the credit markets. A bearish reversal pattern consisting of three consecutive black bodies, where each day closes at or near its low and opens within the body of the previous day. A bullish reversal pattern consisting of three consecutive white bodies, each with a higher close. Each should open within the previous body and the close should be near the high of the day. Each individual move from one stock trade to another. An UP-TICK means the price moved up on the last trade, while a DOWN-TICK means it moved down. If there is no change from the last trade, the TICK is considered neutral. The NYSE TICK indicator shows the net of all UP-TICKs minus all DOWN-TICKs on the NYSE exchange at a given point during the day. If 1000 stocks advanced on their last trade or TICK, 600 declined and 200 were unchanged, the TICK would be +400 (1000 minus 600 equals +400). The closing TICK is based on the last trade of the day. The TICK indicator is available for the NYSE and Nasdaq. An approach to market analysis used by both fundamental and technical analysts. It often begins with a more “macro” analysis of the overall market through major indices (S&P 500, Dow, NYSE etc.) before concentrating on the market at a more “micro” level. Strong and weak sectors of the market are analyzed before focusing on individual stocks within select groups. A period where the stock or market is “catching its breath” after an advance, characterized by a flat trading range without any noticeable trend. It is common to see a topping period after a lengthy increase of the stock price. Topping may be a sign of distribution. A stop-loss level set above or below the current price that adjusts as the price fluctuates. For a long position, a trailing stop would be set below the current price and rise as the price advances. Should the price decline and reach the trailing stop, then a stop-loss would be triggered and the position closed. As long as the price remains above the trailing stop, the position is held. Indicators such as the Parabolic SAR or moving averages can be used to set trailing stops. A long-term debt security issued by the US government. Maturities are usually set between 20 and 30 years and typically run for either 20 or 30 years. The 10-year Treasury Note is the benchmark security for US debt. Trading in the secondary market, the price of the Treasury Bonds rises when interest rates fall and declines when interest rates rise. Medium-term debt securities issued by the US government. Maturities are usually issued for between 2 and 10 years and typically run for 2, 5 or 10 years. The yield of the 10-year Treasury Note is commonly used as the benchmark interest rate. Trading in the secondary market, the price of the Treasury Notes rises when interest rates fall and declines when interest rates rise. Refers to the direction of prices. Rising peaks and troughs constitute an uptrend; falling peaks and troughs constitute a downtrend. A trading range is characterized by horizontal peaks and troughs. Trends are generally classified as major (longer than a year), intermediate (one to six months) or minor (less than a month). Straight lines drawn on a chart below reaction lows (in an uptrend) or above rally peaks (in a downtrend) that determine the steepness of the current trend. The breaking of a trend line usually signals a trend reversal. See our ChartSchool article on Trend Lines. Sideways price patterns in which prices fluctuate with converging trend lines. The three types of triangles are the symmetrical, ascending, and descending. A bearish Point & Figure chart pattern that forms when an O-Column breaks below the equal lows of the two prior O-Columns. See our ChartSchool article on the P&F Triple Bottom Breakdown. A bullish reversal pattern typically associated with line and bar charts. The pattern forms with three equal lows, at least one intermittent high to mark resistance and a breakout above resistance. See our ChartSchool article on Triple Bottom (Reversal). A bullish Point & Figure chart pattern that forms when an X-Column breaks above the equal highs of the two prior X-Columns. See our ChartSchool article on the P&F Triple Top Breakout. A bearish reversal pattern typically associated with line and bar charts. The pattern forms with three prominent peaks, at least one intermittent low to mark support and a break below support. See our ChartSchool article on Triple Top (Reversal). The average of the high, low and close. Typical Price = (High + Low + Close)/3.